Who am I and why do I think I’m allowed to write about business matters? 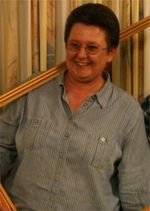 My name is Karin H. (aka 'Kaatje' - Dutch kind nickname for almost every woman called Karin, Catherina etc. ), known to write and talk double Dutch English. I’ve worked over 19 years (in various departments from admin, sales, logistics, IT etc) for a medium-sized Dutch corporation which went through the ‘tedious’ process of ISO9002 certification; I’ve been employed as a manager in a Dutch owned UK small company and now co-own and run a small business (Wood You Like, Natural Wooden Flooring) in Kent UK. Over those years I’ve learned a lot and I’m still learning. 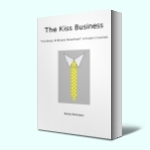 After publishing (July 06) the business novel ‘The Kiss Business’ several friends encouraged me to keep writing. Especially encouraged by Mike and Fred from WWC during various inter-continental ‘blog-encounters’ I’ve decided to turn Kiss2 into a blog. Combining being in the wooden flooring business with writing has now (March 2010) also resulted in our first paperback manual: "Wooden Floor Installation Manual - everything you need to know about DIY wooden floors". You buy something (products – even raw materials – or time – even your own time), add value to it and you sell it -> business. But then why do 4 out of 5 start-ups fail within the first 5 years of trading? Kiss2 will be a blog about business made simple. 1 out of 5 start-ups can prove it is.